Investment banking giant Goldman Sachs has become perhaps the most prominent symbol for everything that is wrong with the U.S. financial system, but most Americans cannot even begin to explain what they do or how they have made tens of billions of dollars from the economic collapse of America. The truth is that what Goldman Sachs did was fairly simple, and there may not have even been anything “illegal” about it (although they are now being investigated by the SEC among others). The following is how Goldman Sachs made tens of billions of dollars from the economic collapse of America in four easy steps…. Step 1: Sell mortgage-related securities that are absolute junk to trusting clients at vastly overinflated prices. Step 2: Bet against those same mortgage-related securities and make massive bets against the U.S. housing market so that your firm will make massive profits when the U.S. economy collapses. Step 3: Have ex-Goldman executives in key positions of power in the U.S. government so that bailout money can be funneled to entities such as AIG that Goldman has made these bets with so that they can get paid after they win their bets. Step 4: Collect the profits – Goldman Sachs is having their “most successful year” and will end up reporting approximately $50 billion in revenue for 2009. So is it right for the biggest fish on Wall Street to make tens of billions of dollars by betting that the U.S. housing market will collapse? You see, when you are talking about a financial giant the size of Goldman Sachs, the line between “betting that something will happen” and “making something happen” gets blurred very quickly. Not that Goldman Sachs was the only one betting against the housing market. According to the New York Times, firms like Deutsche Bank and Morgan Stanley also created mortgage-related securities and then bet that they would fail…..
Goldman was not the only firm that peddled these complex securities – known as synthetic collateralized debt obligations, or C.D.O.’s – and then made financial bets against them, called selling short in Wall Street parlance. Others that created similar securities and then bet they would fail, according to Wall Street traders, include Deutsche Bank and Morgan Stanley, as well as smaller firms like Tricadia Inc. But certainly Goldman Sachs was the most prominent financial player involved in this type of activity. In fact, without mentioning specifics, Goldman has even admitted publicly to wrongdoing. On November 17th, 2008 Goldman Sachs CEO Lloyd Blankfein even issued a public apology…. But complicated financial transactions are something that most Americans simply do not understand, so the public outrage towards Goldman Sachs and others has been somewhat limited. But that does not change the very serious nature of the activities that Goldman was involved in…. But the sad thing is that many Americans do not even understand what Goldman Sachs is. Goldman Sachs was founded in 1869 and has forged a reputation as one of the elite financial institutions in the entire world. They only hire “the best and the brightest” and Ivy League graduates flock to the firm. Of the five major investment banks that dominated Wall Street before the crash, only Goldman Sachs and Morgan Stanley have survived. Merrill Lynch and Bear Stearns were severely damaged by the crash and ended up being purchased by retail banks and Lehman Brothers ended up folding. There are persistent rumors that Goldman played a major role in the collapse of Bear Stearns and that ex-Goldman CEO Hank Paulson could have done much more to bail out Lehman Brothers, but perhaps nobody will ever know the full truth. All we do know is that at the end of the crash several of Goldman’s competitors were destroyed and Goldman found itself in a more dominant position than ever. The truth is that Goldman is a financial shark and they do not apologize for it. An article in Rolling Stone recently put it this way…. So how did Goldman Sachs prosper so greatly in an environment that destroyed their competitors? The following is an extended breakdown of just how Goldman Sachs was able to reap tens of billions of dollars in profits from the collapse of the U.S. housing market…. In late 2006, Goldman Sachs made some fundamental changes in the way that they were approaching the U.S. housing market. According to a McClatchy report, Goldman spokesman Michael DuVally said that the firm decided at that time to reduce its mortgage risks by selling off subprime mortgage-related securities and by purchasing credit-default swaps to hedge against a serious downturn in the U.S. housing market. The key moment came in December 2006. After “10 straight days of losses” in Goldman’s mortgage business, Chief Financial Officer David Viniar called a meeting of key Goldman personnel. Vanity Fair described the results of that meeting this way…. 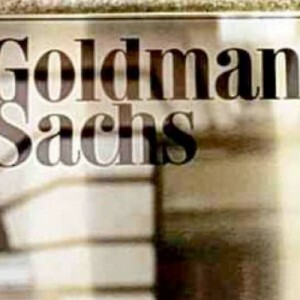 After a now famous meeting in David Viniar’s office on December 14, 2006, Goldman’s traders began to protect the firm against further declines in the market. Just as you can short the S&P 500, the traders took short positions in an index that tracked the price of mortgage-backed securities. They also either sold assets they owned to others at losses or dramatically marked down the price on their own books. In the aftermath of the crisis, criticism erupted that Goldman had continued to sell mortgage-backed securities to its clients while betting against those very securities for its own account. Clearly, in the simplest terms possible, this is true: while Goldman was never the biggest underwriter of C.D.O.’s (collateralized debt obligations-Wall Street’s vehicle of choice for mortgage-backed securities), the firm did remain in the top five until the summer of 2007, when the market crashed to a halt. So Goldman Sachs proceeded to sell approxmiately $39 billion of its own mortgage securities in 2006 and 2007 and they sold at least $17 billion more mortgage securities for others, but they never told the buyers of those securities that Goldman was secretly betting that a significant drop in U.S. housing prices would send the value of those mortgage securities plummeting. These sales and the massive clandestine wagers placed by Goldman enabled the firm to pass most of its potential losses on to others prior to the collapse of the U.S. housing market. But many of the investors who got the short end of the stick were not pleased. When they discovered that what Goldman had promoted as triple-A rated investments were actually a bunch of garbage, many of them were absolutely furious. One of the victims of this fraud was the state of Mississippi…. Mississippi Attorney General Jim Hood, whose state has lost $5 million of the $6 million it invested in Goldman’s subprime mortgage-backed bonds in 2006, said the state’s funds are likely to lose “hundreds of millions of dollars” on those and similar bonds. Another one of the victims of this fraud was California’s retirement system for public employees…. California’s huge public employees’ retirement system, known as CALPERS, purchased $64.4 million in subprime mortgage-backed bonds from Goldman on March 1, 2007. While that represented a tiny percentage of the fund’s holdings, in July CALPERS listed the bonds’ value at $16.6 million, a drop of nearly 75 percent, according to documents obtained through a state public records request. So who is left holding the bag in cases such as these? And that is just fine with Goldman Sachs. Just as long as they keep raking in huge profits. Vanity Fair was even more blunt regarding this injustice…. The truth is that a lot of people needed help because of the things Goldman sold them, but up until now Goldman has completely gotten away with it. Not only did Goldman sell mortgage-related securities that were absolute junk to investors at vastly overinflated prices, they also placed massive bets that the U.S. housing market would absolutely collapse. The New York Times recently described how Goldman used a new index known as the ABX to make many of these bets…. Goldman, among others on Wall Street, has said since the collapse that it made big money by using the ABX to bet against the housing market. Worried about a housing bubble, top Goldman executives decided in December 2006 to change the firm’s overall stance on the mortgage market, from positive to negative, though it did not disclose that publicly. These bets would only make money for Goldman Sachs if the U.S. housing market declined. So if the biggest giant on Wall Street has a huge financial incentive to see the U.S. housing market fail, what do you think the odds are that they are going to do anything to support it? Step 3: Have ex-Goldman executives in key positions of power in the U.S. government so that bailout money can be funneled to entities such as AIG that Goldman has made these bets with so that they could get paid. For years, Goldman Sachs has encouraged executives to serve in U.S. government positions. Now they are world famous for the amount of influence their former employees have over government policy. For example, according to the New York Times, Treasury Secretary Hank Paulson (also a former Goldman CEO) spoke with the current CEO of Goldman Sachs about two dozen times during the week of the bailout, although Paulson says that he obtained an “ethics waiver” before doing so. So does an “ethics waiver” make everything okay? But the sad thing is that is not an isolated example. It turns out that Goldman benefited greatly from a number of decisions made by their former CEO while he was Treasury Secretary…. *Goldman greatly benefited when Paulson elected not to save rival Lehman Brothers from collapse. Paulson certainly stepped in to help Fannie Mae, Freddie Mac and AIG, but apparently had no problem with letting Lehman Brothers fall apart. *Under Paulson’s direction, Goldman ended up receiving bailout money (which they may or may not have needed) from the U.S. government and has since paid back much of that money with interest. So why didn’t Bear Stearns or Lehman Brothers get the bailout funds that they needed? *Goldman greatly benefitted when Paulson organized a massive rescue of American International Group while in constant telephone contact with Goldman CEO Blankfein. AIG ultimately ended up using $12.9 billion taxpayer dollars to pay off every single penny that it owed to Goldman. But it is not just Paulson who has had significant influence in Washington. On October 16th, Adam Storch, a Goldman Sachs vice president, was named managing executive of the SEC’s enforcement division. What do you think the odds are that he will crack down hard on Goldman? In addition, former Goldman Sachs lobbyist Mark Patterson is the chief of staff for current Treasury Secretary Timothy Geithner. In fact, ex-Goldman employees are seemingly everywhere. According to Vanity Fair, at one G-7 meeting an anonymous source identified at least 24 out of 32 finance officials in attendance as ex-Goldman employees. The influence of Goldman Sachs even reaches to the White House. Goldman was Barack Obama’s number one campaign donor, and its employees gave $981,000 to his campaign. If you don’t think that kind of money does not buy influence then you are delusional. Goldman used some of that powerful influence to get the U.S. government to bail out AIG so that AIG could pay off the bets that Goldman had made with them. In a recent article, Vanity Fair described part of what went down…. After the government bailout of A.I.G., in order to end the collateral calls on the insurance giant, the New York Federal Reserve-whose chairman at the time was former Goldman chairman Steve Friedman-decided to purchase a slew of the securities that A.I.G. had insured, including $14 billion of those on which Goldman had purchased insurance. The government-meaning taxpayers-did so at full price, although according to a recent Bloomberg story, there had been negotiations with A.I.G. to do so at a 40 percent discount. Goldman says that the New York Fed broached the topic of a discount only once. The firm’s response: a flat no. While no one will ever know what would have happened had A.I.G. gone under, the essence of what did happen is perfectly clear. As a recent report by the Office of the Special Inspector General for tarpput it, the decision to pay full price “effectively transferred tens of billions of dollars of cash from the Government to A.I.G.’s counterparties.” Or to put it another way: because Goldman felt it was owed its billions by A.I.G., the firm took it from taxpayers instead. So what about all of the thousands of small businesses that are failing and what about the millions of Americans that are losing their jobs and homes? But the U.S. government definitely made sure that AIG and Goldman were taken care of. Goldman Sachs ranks #1 in annual net income when compared with 86 peers in the investment services sector. They are on course for their best year ever. Yes, they are having a really good “crisis”. Goldman Sachs is on course to surpass $50 billion in revenue in 2009 and to pay its employees more than $20 billion in year-end bonuses. 20 billion just in bonuses? That would mean that the average bonus for all Goldman employees would be over $700,000. No wonder everyone wants to work for them. It’s good to be on the winning side. So just how are they making so much money? In their recent article, Vanity Fair described it this way…. But because so many of Goldman’s competitors were gone or disabled, spreads-the difference between the price at which you sell and buy a variety of securities-were wider than they had been in years, meaning that Goldman could practically mint money. By acting at the moment it did, with Lehman out and Merrill Lynch down for the count, the government enabled this situation. The other reason for Goldman’s profits is that the government has flooded the system with money, not just the money it used to rescue the financial system but hundreds of billions more in stimulus, in support of the housing market, and in the Federal Reserve’s purchases of securities. But all of this success has not come without controversy. In fact, Goldman executives are very much aware of the growing backlash against the firm. Senior officials at Goldman Sachs have reportedly loaded up on firearms and are now equipped to defend themselves if there is a “populist uprising” against the bank. In addition, Goldman Sachs employees are now not allowed to gather in groups of 12 or more outside the office. The firm very much discouraged “holiday parties” as they most definitely did not want to be seen as celebrating the downfall of the U.S. economy. But the truth is that Goldman Sachs won because so many others lost. In his very revealing article on Goldman Sachs in Rolling Stone, Matt Taibbi described how Goldman keeps making money from the bursting of these economic bubbles…. They achieve this using the same playbook over and over again. The formula is relatively simple: Goldman positions itself in the middle of a speculative bubble, selling investments they know are crap. Then they hoover up vast sums from the middle and lower floors of society with the aid of a crippled and corrupt state that allows it to rewrite the rules in exchange for the relative pennies the bank throws at political patronage. Finally, when it all goes bust, leaving millions of ordinary citizens broke and starving, they begin the entire process over again, riding in to rescue us all by lending us back our own money at interest, selling themselves as men above greed, just a bunch of really smart guys keeping the wheels greased. They’ve been pulling this same stunt over and over since the 1920s – and now they’re preparing to do it again, creating what may be the biggest and most audacious bubble yet. The truth is that in this latest economic collapse there were millions of losers and just a few winners. Goldman Sachs was one of those winners. So will they lose next time? In their recent article, Vanity Fair quoted an anonymous source in the financial industry as saying the following…. I agree with much of this argument. The recent financial collapse involved many parties: subprime borrowers, lenders, securitizers, servicers, credit rating agencies, investors, and governments. When investment banks like Goldman Sachs market financial securities like credit based securities and derivatives they should be required to provide accurate and comprehensive information to their investor clients. However, investor clients must exercise responsibility using proper research, analysis, and judgement when making investment decisions. If the investment bank “short sells” the very same securities it markets to investor clients and benefits from the decline their value, then such outcomes involve questionable ethical behavior. Short selling is not unethical market behavior and assumes high risk for the short seller because if the price of the short sold product increases, then the short seller incurs the loss. If the risks of such investment products were not properly disclosed to investor clients; the investment bank benefits from the decline in their value; and the investment bank knew such products had risks that could cuse harm to the investor clients then such activities could demonstrate fraud, deception, or misrepresentation depending on opinion and law. However, the U.S. federal government performed the most insidious actions during this financial crisis. By providing a myriad of assistances including direct payments, borrowing privileges, and guarantees using public funds, the financial institutions like Goldman Sachs enormously benefited though they were largely responsible for exacerbating if not creating this financial crisis. When economic conditions were favorable, they assumed greater and even evcessive risks to maximize profits and compensation for themselves. But when econmic conditions became less favorable, they recieved incredible assistance from the government using public funds when responsible economic actors did not cause or propogate such crisis and did not recieve the same level of assistance and suffered. Furthermore, such assistance creates at least two additional problems for the economy in the future. Since the federal government assistance to financial institutions involved borrowed funds, these funds will require higher level repayment due to interest costs. Though Goldman Sachs and some financial institutions repaid financial assistance to the federal government, others did not or will not including AIG, GMAC, GM, Fannie Mae, Freddie Mac, etc. Such losses will be compensated for the taxpayer resulting in social or foregone loss/cost. Some argue that if the government did not intervene to save such entities then the financial and economic system would be worse though they provide no evidence to support such an argument. This is true, however, many individuals lost their jobs and businesses failed. If the financial system’s actors failed then they would be in the same condition as those individuals and businesses. The U.S. economy suffered through more difficult hardship in the Great Depression Era 1929-1940 but still managed to proceed and become the most successful economy in the world. This economic recession most likely would not have become as severe as the Great Depression assuming very low interest rates to stimulate increased investment and spending and bank deposit insurance to prevent acute withdrawal of funds resulting in financial collapse. The US recession in 1929-1930 became the Great Depression because of inadequate assurance of the banking system and monetary policies. In addition, this recession will not be as severe as the Great Depression because of the general higher standard of living in 2000s and beyond compared to the 1930s. The second problem is in the future. By providing failed economic actors with assistance, they develop a sense of entitlement, false confidence, and riskier behaviors. Financial institutions like Goldman Sachs will most probably not learn from their mistakes that led to this financial crisis and will continue to assume greater risks in the future requiring unfortunately sympathetic actors in government to provide assistance to prevent their failure. This is should not be tolerated or supported by the public in general because it rewards failure and productive successful economies should reward those who create and add value and do not undermine or destroy it. aggregation of risk that increases the risk of failure. Investment banks should not be subject to the following suggested regulations (see below 2 and 3) because they assume greater risks and do not maintain deposits like commercial banks. In addition, if investment banks do fail, they will not recieve any financial assistance from the public through any government entity due to the lack of their regulation. 2. Maintain or increase capital requirements for commercial banks to 10 percent. This provides some limitation on the amount of borrowed capital to reduce credit risk in the financial system but is not so difficult resulting in less lending. 3. Significantly increase FDIC insurance premiums based on the level of risk in the assets of a bank(s) to provide sufficient funds to indemnify individuals who lose funds in failed banks. This action also prevents large acute withdrawals of funds from the financial system and reduce the amount of risks banks assume in lending and investing. 4. Create and monitor exchange(s) for derivatives and require 100 percent margin or collateral for the trading participants to eliminate or at least significantly reduce counterparty/default risk in the financial system. 5. Withdraw and recover as much public assistance provided to the financial system as soon as possible. It looks like this time they won’t get away with bankrupting the US and Europe. Or do they own the US Govt? When will people learn to buy puts on every and anything these people sell? The weasel meter is off the reality scale with these guys!